14 Cows for America. By Carmen Agra Deedy in collaboration with Wilson Kimeli Naiyomah. Peachtree, 38 pp., $17.95. Illustrated by Thomas Gonzalez. Ages: See discussion below. A few years ago, 60 Minutes did a story on a Ugandan girl whose family paid for her education by selling milk produced by a goat it had received from the American charity Heifer International. Fourteen Cows for America offers an unusual inversion of the premise that the rest of the world needs our help. Carmen Agra Deedy tells the true story of group of Maasai in Kenya who decided to give some of their precious cows to America after hearing about the attacks of Sept. 11 from a villager who had studied at Stanford University. Her text works reasonably well until the last pages, which moralize and leave impression that the Kenyans sent their cows to the U.S. (when an afterword for adults makes clear that they remain in Africa, cared for by a tribal elder). Thomas Gonzalez used pastels and colored pencils to give much of 14 Cows for America a reddish, post-apocalyptic haze – his cover would suit a tale of nuclear winter, or a children’s version of On the Beach. That mood fits the events of Sept. 11 but also suggests why this bestseller would work better in the classroom than in other settings. Fourteen Cows for America deals with the aftermath of tragedy that is still hard for many adults to fathom. This book could confuse children — especially younger ones — who read it without a solid context for its story. It might fit well into a school or Sunday school unit, but other picture books would make better holiday gifts for children who will be reading or read to at home. Ages: School Library Journal recommends 14 Cows for America for grades 2-5 (ages 7–10) in its review of the book. In a separate review on the SLJ blog Fuse #8, librarian Elizabeth Bird says it’s for ages 4–8 (preschool-grade 3). Worst line: “More than three thousand souls are lost.” This line refers to the death toll on Sept. 11, which was fewer than 3,000 people, including the hijackers, for all three sites. Children’s book reviews appear on One-Minute Book Reviews on Saturdays. Jan Harayda sometimes comments on children’s books during the week on Twitter (@janiceharayda) www.twitter.com/janiceharayda. Tags: American History, Book Reviews, Books, Canada, Children, Colonial Era, Deerfield, Girls, Kidnapping, Massachusetts, Native Americans, Political Correctness, Reviews, U.S.
Why did young Eunice Williams stay with Indians who had murdered her mother? 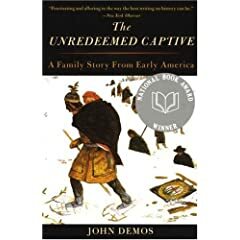 The Unredeemed Captive: A Family Story From Early America. By John Demos. Vintage 336 pp., $14.95, paperback. The term “raid” hardly fits the events described in this memorable true story of Eunice Williams, who lived through the terror that was masterminded by the French but largely carried out by Mohawks and other Indians. Eunice was a 7-year-old Puritan minister’s daughter when she was kidnapped in the attack – oops, sorry, “raid”! – on Deerfield at about 4 a.m. on February 29. Her mother died on a subsequent forced march to Canada, killed by an Indian who “slew her with his hatchet at one stroke,” a son wrote. Her father and siblings were eventually released. But Eunice stayed with the Indians, one of whom she married, for puzzling reasons: Was she a prisoner or a willing expatriate? The Yale University historian John Demos explores the question in this fascinating finalist for 1994 National Book Award (inexplicably described on the cover as the winner of the prize). Rev. John Williams after the massacre. Worst line: Demos tells much of Eunice’s story in the present tense, which works less well than the past tense he uses to give it context. Recommendation? 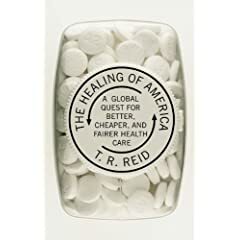 An excellent choice for history books clubs and others that like serious nonfiction. Published: 1994 (Knopf hardcover), 1995 (Vintage paperback). Read John Demos’s summary of the Deerfield Massacre in American Heritage. Several Deerfield museums have an excellent interactive Web site that shows a representation of the attack and tells more about the people mentioned in this review. 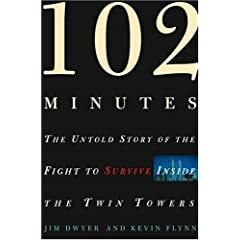 If I could read one account of the Sept. 11 terrorist attacks, I would read 102 Minutes: The Untold Story of the Fight to Survive Inside the Twin Towers (Holt, 384 pp., $15, paperback), by New York Times reporters Jim Dwyer and Kevin Flynn, a book I’ve had on my “to read” list almost since its publication. Dwyer and Flynn describe the 102 minutes between the first attack on the World Trade Center and the collapse of the second tower, as seen by people inside the buildings, in this finalist for a National Book Award. As they do, they tell intimate stories that evoke deep emotions, Publishers Weekly said: “A law firm receptionist quietly eats yogurt at her desk seconds before impact. Injured survivors, sidestepping debris and bodies, struggle down a stairwell. A man trapped on the 88th floor leaves a phone message for his fiancée: ‘Kris, there’s been an explosion…. I want you to know my life has been so much better and richer because you were in it.’” You may also want to read the review of Love You, Mean It, a memoir by four women widowed by the attacks, posted on Sept.11, 2007 www.oneminutebookreviews.wordpress.com/2007/09/11/.